“Dehydrating foods reduces waste by preserving surplus ingredients, and it keeps energy costs low, compared to freezing. Here’s a list of ten surprisingly tasty dried foods you might not have tried yet. 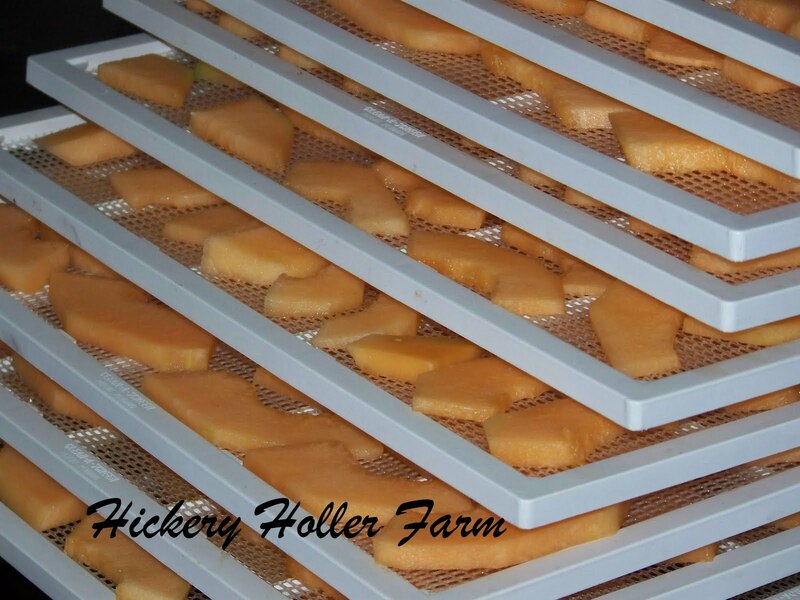 If you don’t have a dehydrator, you can purchase a basic model for about 40 U.S. dollars. Or, you can experiment with making some of these treats in your oven on the lowest setting. “Coleslaw: Marinate the cabbage in a sweet vinaigrette before draining well and dehydrating at 125°F for 24-48 hours. You can eat crunchy dried coleslaw like a snack or add some water to rehydrate it. “Cantaloupe: Peel and slice this melon thinly, dry it out and you’ll have a chewy, sweet snack that’s much more affordable than the ever-popular dried mango. 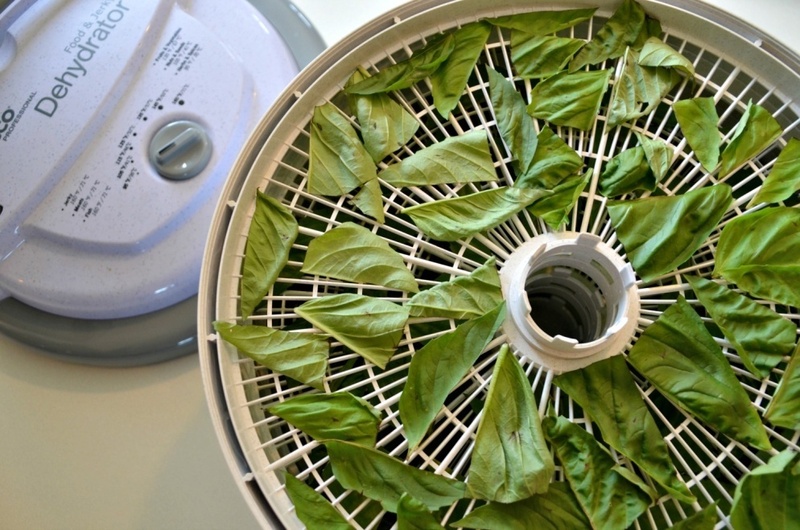 “Basil: Turn your bumper crop of fresh basil into dehydrated whole leaves! The flavor of store-bought dried basil flakes is no match for home-dried whole leaves. Dry at 90°F for a few hours until the leaves are brittle, then store in an airtight jar at room temperature. 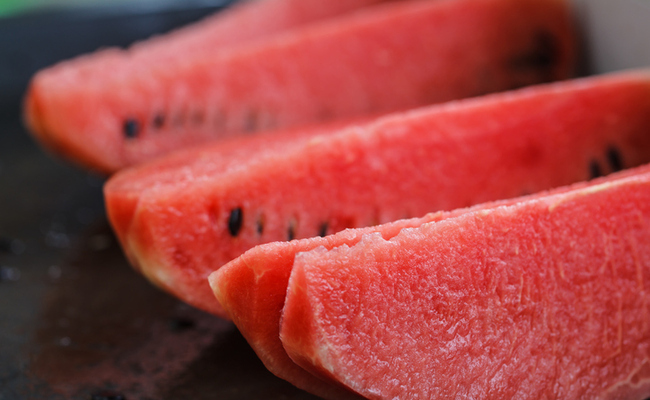 “Watermelon: Yes, it takes a while to get all the water out of a slice of watermelon (24 hours at 135°F, in fact,) but it’s worth it! Bloggers call this “Watermelon candy” for good reason: it’s chewy and intensely sweet. “Kimchi: Trader Joe’s makes a crunchy, tangy version of dehydrated kimchi. But you can make it at home, too! 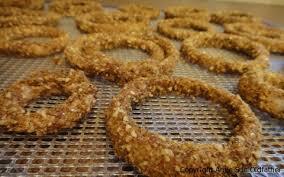 “Onion rings: If you enjoy the fried version, you’ll love them crunchy and dried. Douse raw onion rings in a mixture of olive oil and soy sauce, then dredge in breadcrumbs or ground almonds, and dehydrate 3-4 hours at 115°F. 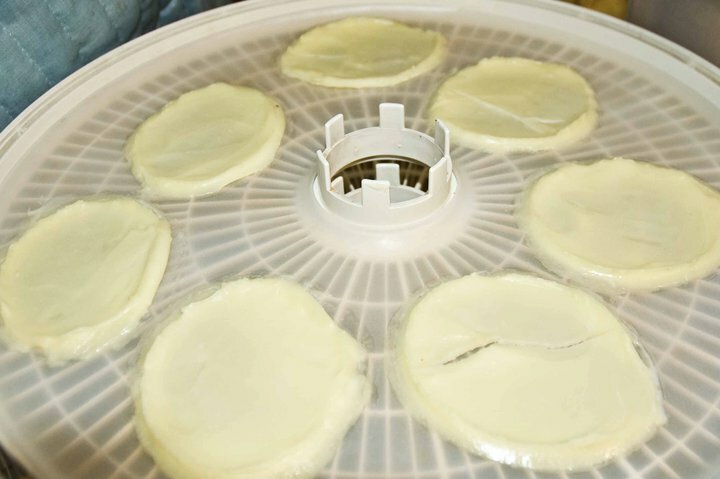 “Yogurt: Did you know you can make your own probiotic-rich yogurt in your dehydrator? The warm, consistent temperature provides the perfect conditions for beneficial bacteria to grow. Heat a gallon of milk to 185°F in a saucepan, then cool to 100°F and add 3 tablespoons plain yogurt. Whisk together well, then transfer to jars and dehydrate at 110°F for 8-10 hours. 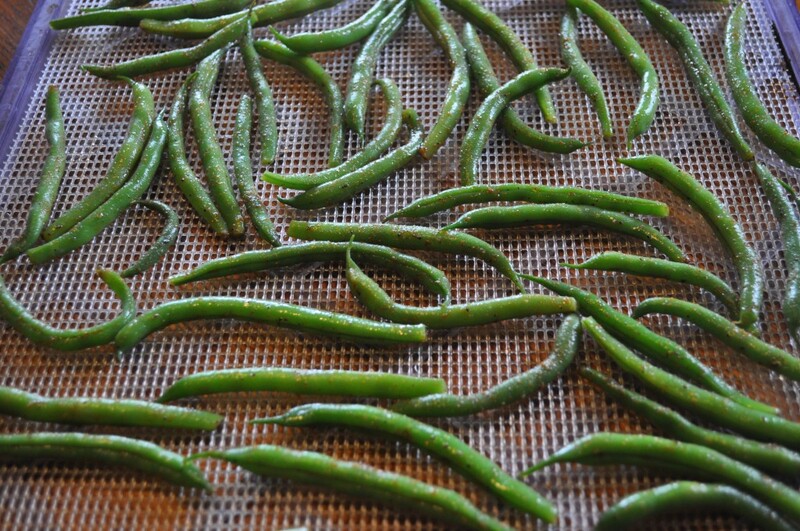 “Green beans: Green beans transform into crunchy, salty “fries” in the dehydrator. Toss them in melted coconut oil and salt and dehydrate at 125°F overnight. Tip: frozen whole green beans actually produce a crispier finished product than fresh beans. 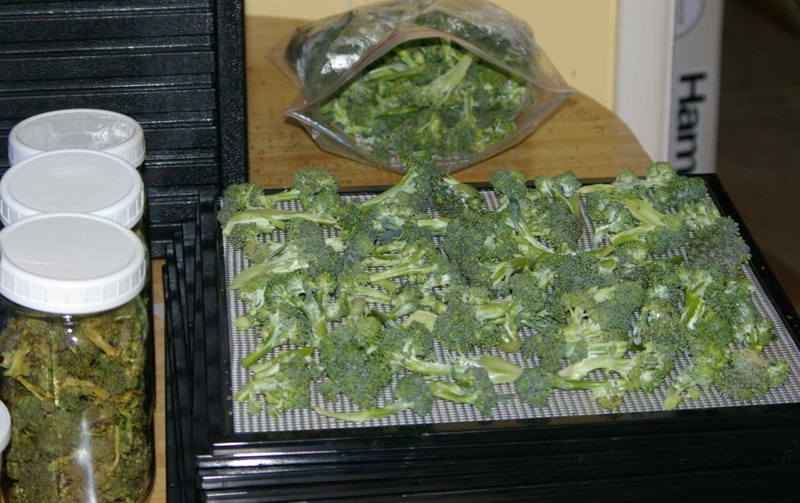 “Bread crumbs or croutons: Save energy by drying bread crumbs in a dehydrator instead of in the oven! You’ll get perfectly parched crumbs without any chance of browning. Dehydrate bread slices for 3-4 hours at 125°F, then pulverize in a food processor. Or make your own croutons by cubing your bread slices first and drying them as you would your bread slices. 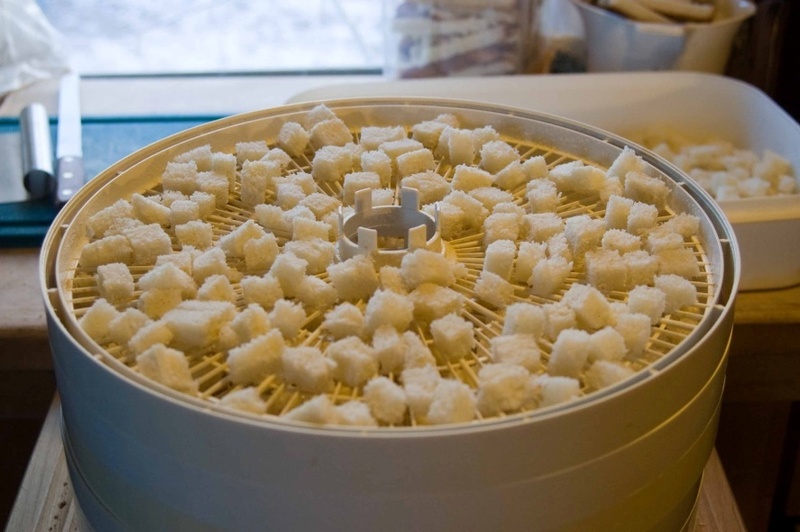 For croutons, trims crusts off and place a tray on the bottom of your dehydrator to catch any falling crumbs. Enjoy these unique dried treats, and don’t forget to drink plenty of water as you snack on them. I’ll close with asking “What do you like to dehydrate?” Please share if you have any unique ideas we haven’t mentioned.